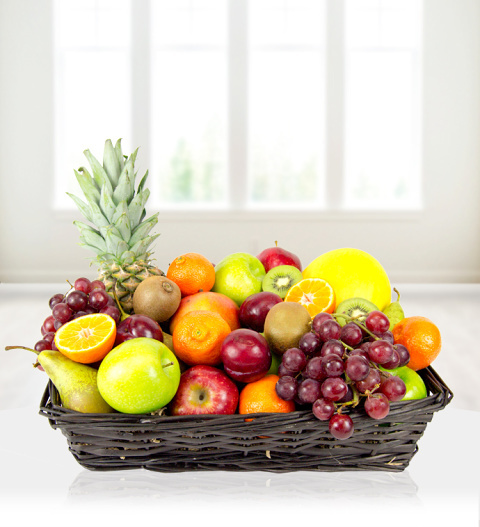 The Deluxe Tropic Fruit basket is one of our largest baskets packed with mango, melon, pineapple, apples, oranges and so much more. A healthy gift with a difference and perfect for all occasions, the Deluxe Tropic is sure to brighten anyone's day. Presented in a handmade wicker basket. The Deluxe tropic is available for UK next day delivery.